Provide comfort for the family of Marjorie Kempel with a meaningful gesture of sympathy. 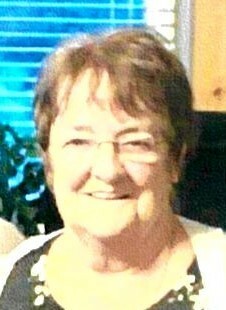 Marjorie Elizabeth Kempel (nee Weber) of Walkerton passed away at Sakura House Hospice, Woodstock on Tuesday, April 2nd, 2019 at age 75. Loving mother of Sherri (Larry) Sobeski of Burford, Rob of Saskatchewan and Jamie (Patty) of Waterloo. Cherished grandmother of Tyler (Taylor), Candice (Mitch), Kyle, Christian, Shelby, Carson, Codi and Courtney and great-grandmother of Holly. Dear sister of Bob Weber of Kitchener and Sharon (John) Waechter of Formosa. Marjorie was predeceased by her husband Robert; three sisters; two brothers and parents Isadore and Marie (nee Wagner) Weber. Visitation will be held from 9:00 am until 10:30 am on Saturday, April 6th, 2019 at the Cameron Funeral Home, Walkerton (1106 Yonge Street) followed by a Mass of Christian Burial celebrated at 11:00 am at Sacred Heart Church, Walkerton (221 Victoria Street) . Rev. Leszek Szczygiel officiating. Interment in Immaculate Conception Cemetery, Formosa. As expressions of sympathy, donations to Sakura House Hospice (VON Oxford), Woodstock or Royal Canadian Legion Branch 102, Walkerton would be appreciated by the family. Cards available at the funeral home. Visit www.cameronfuneralhomes.com to view Marjorie's memorial.